ATTENTION all book lovers and bookworms…. today is your day! Why do we love National Book Lovers Day so much?! A great story can completely captivate and inspire you. Some authors have the ability to place words in just the right order to inspire us to go after our dreams. A good book can definitely jump start motivation for you. Ever need a break from your hectic life? Pick up a book that can keep you wanting to read more. A good mystery or adventure book will do the trick! Dive into the world of your favorite detective or explore the stories that only your favorite author can write. When it comes down to the option of choosing a book or a movie, generally a book lover will opt for the book. Not because they have anything against a good movie, but because they enjoy creating the image in their head as the story goes along. Books can bring you an abundant amount of detail and there is no way you’ll miss anything because you have to read word for word. A movie can be good, but a book is so much better. One way to celebrate this day is by visiting your local library. The Summerlin library is filled with books, journals, and magazines for any story or information you are seeking. They also put on in-house plays based on classics like The Sound of Music. There are also similar activities taking place at both the Henderson and North Las Vegas locations. Check them out! Another way to celebrate national book lover’s day is by exchanging books with another book lover. Share some of your favorite literature and potentially find your new favorite author. This is a way to expand your reading circle and discover new subjects you may be interested in. 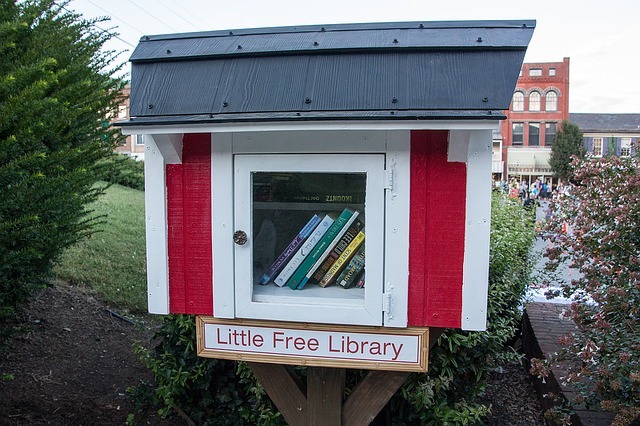 An interesting website to visit is https://littlefreelibrary.org/. The webpage is full of fun activities for book lovers to participate in. You can register for an account and receive their free newsletter in the mail monthly. A Little Library is a small, handcrafted house that you can display outside your home or office. You fill it with books that others can come by and borrow to read and return them for someone to enjoy. This is a way to share wonderful literature with others in your neighborhood. Another great way to share your love for literature is by joining a book club. You can find a full list of book clubs on the Henderson library website. There are clubs for everyone including mystery, sci fi, and travel book clubs. Take a look at the summer book clubs happening now! If you don't want to leave your house to celebrate national book lover's day, that's okay. Pick up your favorite mystery novel and curl up on the couch to read or reread a story that keeps you turning the next page in the book. Happy NATIONAL BOOK LOVERS DAY Bookworms! !